We often hear about the foods we’re supposed to avoid in order to protect our teeth and keep them healthy. These include sugary sweets (the sugar can create conditions that lead to tooth decay), soda pop (which harms tooth enamel), and any foods that are overly sticky and get stuck in crevices, increasing the likelihood of developing cavities. Who doesn’t love a good, crunchy apple? In addition to being a delicious treat any time of year (but especially in the fall), fresh apples provide you with healthful vitamins and fiber, and your mouth benefits for several reasons. First, biting into and chewing an apple produces saliva, which is crucial for rinsing away food particles and bacteria from your teeth. Second, chewing a fruit with this texture gives your gums a good workout, strengthening them. And those nutrients inside each apple are also good for your overall dental and mouth health. 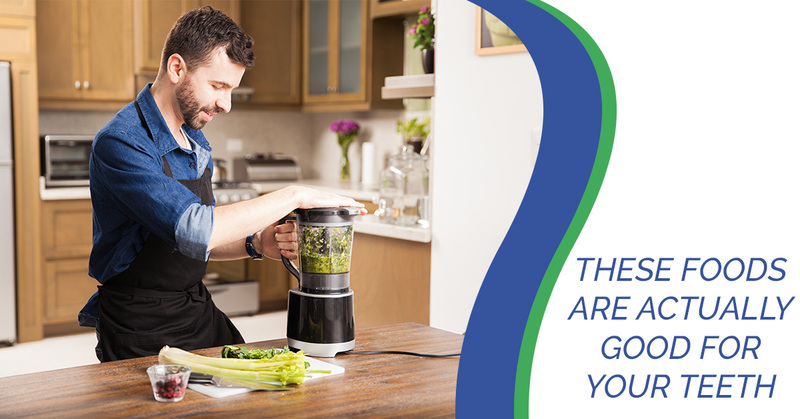 Another great crunchy food, celery massages your gums and helps produce saliva. In addition to helping to clean your teeth, saliva contains antimicrobial properties that work to eliminate the harmful bacteria present in your mouth. What do strawberries bring to the table? When it comes to your dental health, these tasty berries contain malic acid, which helps whiten teeth naturally. Plus, this superfruit contains antioxidants, which help protect the gums. As long as you’re not allergic to them, nuts are good for you and your teeth. Just be careful when you eat them — you don’t want to accidentally bite down on the nut’s hard shell! Almonds, walnuts, cashews, filberts, and other nuts contain phosphorus, calcium, magnesium, iron, and additional essential minerals that teeth need to stay strong and healthy. While it’s not a great idea to overdo dairy consumption, especially for anyone who shows symptoms of lactose intolerance, eating some cheese (for those who are able to digest it) can help teeth thanks to the high levels of calcium and phosphorus it delivers. In addition, cheese helps to balance the acidity levels in your mouth to decrease the risk of tooth decay. Whether you choose Bartlett, Bosc, Anjou, or any other variety of pear, know that this fruit also helps to neutralize the acid found in your mouth, which can protect your teeth. Asian pears fit into this category as well, and they deliver a very satisfying crunch! At Dental Savers, we care about your teeth. 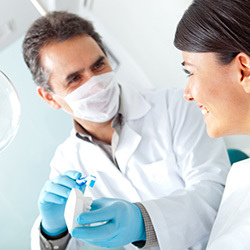 We regularly treat patients of all ages, helping every member of the family develop and maintain great oral hygiene for strong teeth and a beautiful smile. Whether you’re looking for a pediatric dentist, or a dentist for the entire family, turn to Dental Savers in Fairless Hills. 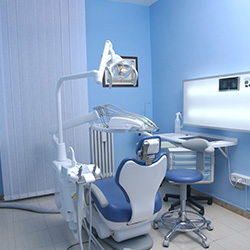 We’re here to take care of all your dental care needs, including any emergency dental care you may require. 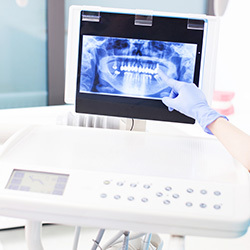 Don’t put it off any longer — make your dental appointment with Dental Savers in Fairless Hills and let our dentist help you with your dental health. Reach out to us today!